Despite dating from the 4th century BC, The Art of Rhetoric continues to be regarded by many as the single most important work on the art of persuasion. As democracy began emerging in 5th-century Athens, public speaking and debate became an increasingly important tool to garner influence in the assemblies, councils, and law courts of ancient Greece. In response to this, both politicians and ordinary citizens became desperate to learn greater skills in this area, as well as the philosophy behind it. This treatise was one of the first to provide just that, establishing methods and observations of informal reasoning and style, and has continued to be hugely influential on public speaking and philosophy today. Aristotle, the grandfather of philosophy, student of Plato, and teacher of Alexander the Great, was one of the first people to create a comprehensive system of philosophy, encompassing logic, morality, aesthetics, politics, ethics, and science. 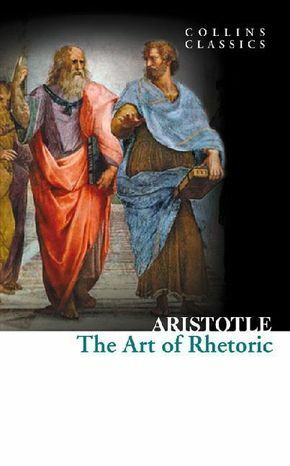 Although written over 2,000 years ago, The Art of Rhetoric remains a comprehensive introduction for philosophy students into the subject of rhetoric, as well as a useful manual for anyone today looking to improve their oratory skills of persuasion.